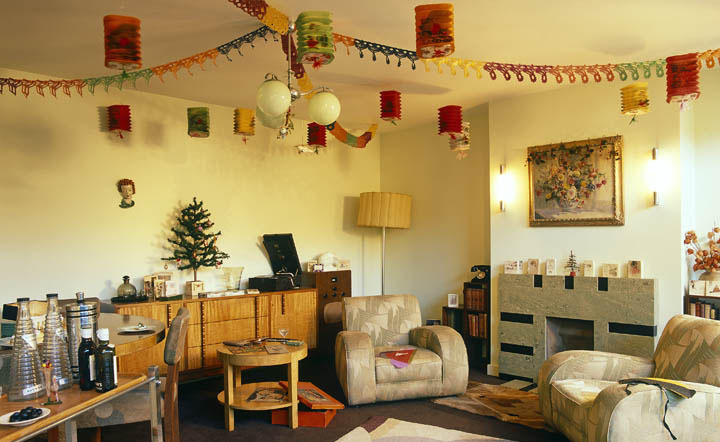 Each year, the Geffrye Museum’s eleven period living rooms are transformed to give families a magical glimpse into how Christmas has been celebrated in English middle-class homes over the past 400 years. If your up with the larks (aka the little ones) – you could drop by the Columbia Road Flower Market first. ZooNation’s new family Christmas show, The Mad Hatter’s Tea Party, taps into the heady nonsense of Lewis Carroll’s much-loved world in an interactive show perfect for all the family. ZooNation brings together regular collaborators Ben Stones with his innovative set designs and the musical team Josh Cohen and DJ Walde. Playfully drawing on everything from Shakespeare to Sondheim, ZooNation present brilliantly exuberant dance adventures overflowing with energy and wit. If you liked Into the Hoods and Some Like it Hip Hop – don’t miss this! Can’t make the theatre? Then enjoy The Mad Hatter’s Tea Party streamed live for free on 18th December at 6.50 pm, on the ROH website and on the ROH YouTube channel. As you’re in Covent Garden, don’t miss the LEGO Snow Globe. Featuring 120,000 bricks and London themed, it features some of London’s most iconic building including The Shard, Big Ben and The London Eye. Amidst the spectacular cityscape are a number of hidden LEGO Santa Mini Figures, see how many you can spot and win some LEGO prizes. Press a magic button and watch in delight as the snow starts to fall on the LEGO scene. Discover Lauderdale House this weekend and treat the little ones to the Saturday morning kids show The Christmas Fairy. It’s very nearly Christmas but the Christmas Fairy just isn’t ready! She needs some very special people to help her prepare everything in time, so get the kiddies to bring along their magic wands and best singing voices and join in the countdown to Christmas! Can’t make Saturday, pop along on Sunday and enjoy the Duck Pond Market – Christmas Artisan Food & Craft market where everything you buy comes from a good place. Bringing together the magic of a festival with interesting stalls, local and ethical food, crafts, workshops for children, music and arts. This is a special Christmas screening of Frozen and what’s more Christmassy than snow. So Pop Up Screen’s have decided to fill the cinema full of snow to create a cinema experience in the snow. They have promised to be London’s only cinema in the snow plus offering all cinema goers plenty of christmas cheer. There is also a showing of Frozen at the Grand Cinema Club at 12pm if a slightly earlier showing suits and you’ll be near Harrods for a bit of window shopping too! Santa has set up residence at ZSL London Zoo, where the kids can meet the man himself to share their Christmas wishes, after having joined his hardworking elves in making festive treats for some furry residents of the Zoo. Kids have the chance to join animal-loving elves in a flurry of crafty Christmas activities in the magical town of Elfville situated in the Zoo’s Animal Adventure exhibit. Getting fully into the Christmas spirit children can write a letter to Santa and take a guided tour around Elfville joining in with musical elves dancing and serenading visitors with their favourite Christmas tunes. And as if the excitement of meeting Santa isn’t enough, the kids can hear talks on the Zoo’s Reindeer Royalty from keepers while Dancer and Prancer enjoy some seasonal snacks. This festive season enjoy Stick Man, the wonderful theatre adaptation of the marvellous book by Julia Donaldson and Axel Scheffler. The fabulous children’s tale is brought to life on stage at Leicester Square Theatre. ‘Stick Man lives in the family tree, with his Stick Lady Love and their stick children three’, but the world is a dangerous place for Stick Man. A dog wants to play with him. A swan builds a nest with him. He even ends up on a fire! Will he ever get back to the family tree? The show is packed full of puppetry, songs, live music and funky moves; Stick Man promises more fun than you can shake a stick at! Have a break from the Christmas Shopping and take the whole family for a ride on the Giant Rocking Reindeer and get up close to what is thought to be the world’s largest rocking reindeer. Standing over five metres tall, up to six guests can take a ride at the same time. Once on board you can rock the reindeer back and forth just like a child’s rocking horse. Enjoy the Whippersnapper Winter Wonderland Experience in Dulwich Park. The children get to dress-up to help the Elves in the Log Cabin Toy Workshop, get an invitation to visit Santa’s classroom where lessons on how to decorate Traditional Gingerbread Christmas Tree decorations with none other than Mrs Claus take place. With a fairy, face painting, Christmas crafts, the chance to build a sensory ‘snowman’ and a traditional christmas sing-a long – this is all before they’ve even met the big man in the red suit! Tall Stories (creators of the Gruffalo stage show) present Emily Brown & The Thing, based on the much-loved book by Cressida Cowell (writer of How to Train your Dragon) and Neal Layton at Jackons Lane. One winter’s evening, Emily Brown and her old grey rabbit, Stanley, hear a Thing crying outside their window. He just can’t get to sleep. Emily Brown and Stanley set off on incredible adventures through the Dark and Scary Wood, the Whirling Wastes and beyond, to find the Thing’s cuddly, his bedtime milk and his medicine… But nothing seems to help him settle. What’s really troubling the Thing – and will anyone ever get to sleep? This Saturday Cressida Cowell & Neal Layton will be ready to sign books after the 2pm performance so don’t forget to bring your copy!